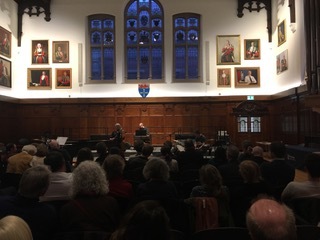 The 2018 annual conference of the BFE was hosted by the International Centre for Music Studies, Newcastle University between the 12th and 15th of April 2018, and had the theme ‘Europe and post-Brexit Ethnomusicologies’. The call for papers provided an opportunity to think about the various roles, identities, and approaches of ethnomusicology within the current socio-political and economic global context. The call was met with an array of interesting reflections on ethnomusicology’s practices and impacts. In preparation for the conference, the Ethnomusicology Reading Group offered useful online skype discussions that reviewed articles in relation to music and politics, bringing many attendees into conversation before the gathering even commenced. Colleagues met for four days of engaging conversations, workshops, and social events. Highlights included the session ‘Reflections on Ethnomusicology’, which explored emerging methodologies in our discipline, and ‘Musicologists of Brexit’, which detailed the impacts of larger political and economic crises within the discipline. The conference benefited from a variety of sessions that focussed on music and current issues, such as neoliberalism, nationalism, transnationalism, the migrant crisis, conflicts, and power and politics. ‘Ethnomusicology in the 21st Century: A European Perspective’, the keynote by Britta Sweers (University of Bern), bound the conference together. Sweers showed how ethnomusicologists can contribute to fostering tolerance and integration on the global stage. Her paper was followed by a lively debate concerning the impacts of applied ethnomusicology and a discussion regarding the intersections of ethnomusicology with governmental policies. Attendees also enjoyed the various workshops held this year. 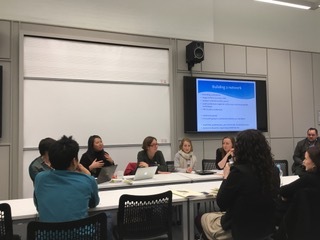 The ‘PhD students and Early Career’ workshop proved very informative, offering advice and a safe space to discuss various ways to get published, improve CVs and network at conferences. The ‘Ethnomusicology and Parenting’ session provided an open space for parents and families to exchange personal experiences, explore the benefits and difficulties of parenthood in academia, and discuss ways toward a more family-friendly discipline. The conference was punctuated by lighter and more social sessions such as the SEM Ice Cream Social. It was also packed with live music, including a capoeira workshop, a concert by The Catriona Macdonald Trio, and a pub jam. 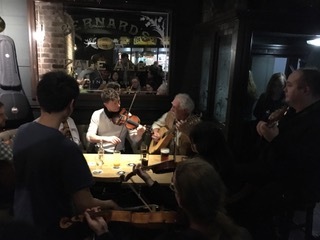 Overall, the event was a success: attendees had the chance to exchange scholarly ideas throughout the day, and to socialise and play music together each evening. Special thanks are due to the organisers and facilitators of this fantastic gathering: conference organiser Simon McKerrell, as well as Ian Biddle, David Clarke, Niall Cushnahan, Byron Dueck, Alix Ferrer-Yulfo, Fiona Finden, Simon Hirst, Nanette de Jong, Matthew Ord, Ruairidh Patfield, Becca Twist, and Stephen Wilford.